In honour of Mental Health Awareness Week, The Ottawa Mission brings you stories of our dedicated mental health, trauma and addiction program staff who work tirelessly with clients to help them rebuild their lives. 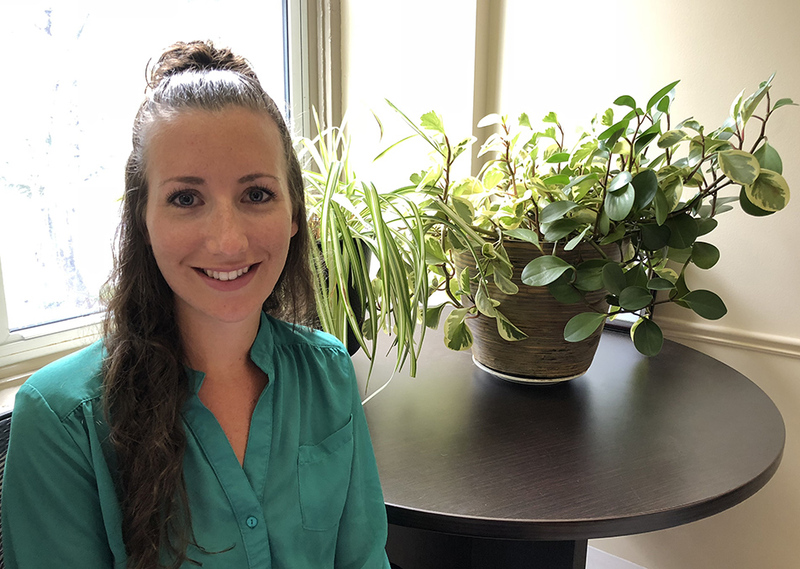 Robyn is a social worker with the Canadian Mental Health Association (CMHA) who has worked within The Mission for the past three years supporting clients with untreated severe and persistent mental illness. The Mission had identified a need for outreach to isolated, long-term shelter residents who lacked meaningful engagement with personal relationships and professional supports. To meet the complex needs of these individuals, The Mission partnered with community mental health experts at CMHA and created Robyn’s position. “Change is slow, and often hard. ‘Success’ is different for each client. For some, it can mean securing and maintaining housing. For others, it can be as simple as making a connection with someone. I feel privileged to be welcomed into clients’ lives to support this,” Robyn adds. “Mission staff want what’s best for clients and they’re very flexible to help clients get there. They help resolve barriers that can stand in clients’ way, such as providing tenants’ insurance, furniture, medical care immediately without an appointment, and other supports. The Mission is fantastic in doing everything it can to help clients meet their goals,” Robyn concludes.